There will be some awesome items available in both the silent and live auctions at the Dinner with Friends in support of Ronald McDonald House of San Diego on March 1st. You don't want to miss out! 4 Roundtrip Tickets on Southwest Airlines--Travel anywhere Southwest flies and have a long vacation or a little getaway knowing you have helped families stay together and make their own memories while caring for their sick child. 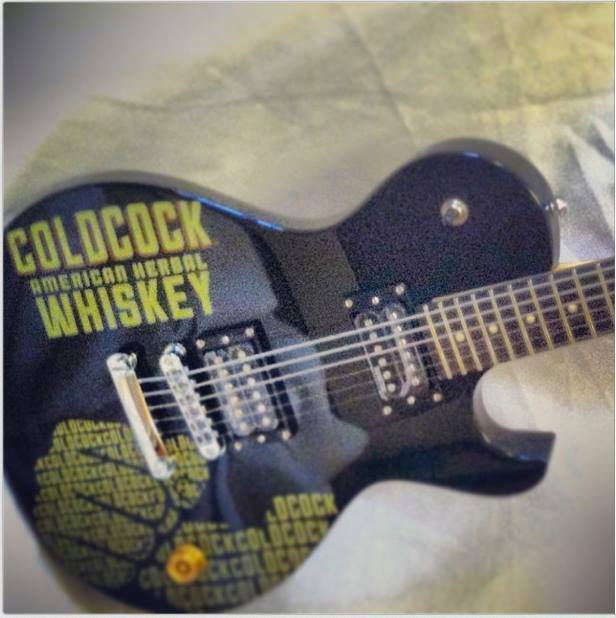 Custom made Coldcock American Herbal Whiskey Guitar from Schecter Guitar, one of the world’s premier guitar companies, makers of guitars used by members of Disturbed, Avenged Sevenfold, The Cure, Papa Roach, Seether, Prince, Stone Temple Pilots, Nevermore and Black Label Society. 4 Disneyland One-Day Parkhopper Tickets--Everyone loves the Happiest Place on Earth and you can have a wonderful day at both Disneyland and Disney's California Adventure donated by Disney. 2 Night Stay at Palomar Mountain Cabin--Enjoy the 180-degree view of San Diego County from the deck of a cabin on Palomar Mountain. Perfect for stargazing, the cabin is only a short drive from the world famous Palomar Observatory. The Verdant Group is providing the food for the Dinner with Friends, but they have also contributed gift cards to their restaurants like True North Tavern and Gingers to our auction. Have a night out on the town secure in the knowledge that another family is eating dinner together thanks to your generous contribution. These are only a few of the offerings in our auctions in 2014! I can't wait to see the whole list! Watch for it next time! If you have not bought your tickets yet, click HERE! Ronald McDonald House of San Diego provides a home-away-from-home to families of children being treated for serious illness and injury at San Diego area hospitals. You can help them help families stay together during very stressful times, when loved ones need each other most. If you cannot attend the dinner, you can still donate to this amazing organization at the link above.